She is making her first foray into fashion and tonight Cheryl Cole made sure she generated a buzz at the launch party. The Girls Aloud singer stepped out with huge hair in a larger-than-life beehive style to celebrate her collaboration with online fashion site Stylistpick. Teaming the massive hair style which she held back with a gold headband, Cheryl had donned a scarlet satin dress with rouched and draping detail as well as cut-out panels, showing off her slim figure. And adding extra inches Cheryl had donned a pair of extremely high beige suede shoes. Cheryl had posted a snap of herself enjoying a cocktail to her Twitter page and commented: ‘It’s shoe time.. Haha! On hand to support Cheryl was her fellow Girls Aloud bandmate Nicola Roberts who also attended the event and the girls posed together inside the bash. The pair had enjoyed somewhat of a band reunion last night with Sarah Harding and Kimberley Walsh, but notably the group was minus Nadine Coyle. Cheryl’s first capsule shoe collection will be available from December, just in time for Christmas. Stylistpick’s chief creative officer Juliet Warkentin said: ‘We are thrilled to be working with Cheryl. Cheryl is the style icon and is amazingly warm, a quality that has made her the nation’s favourite. While Cheryl’s look for the evening demands attention what fashion critics will make of her big barnet will be interesting given the criticism Cheryl endured after she stepped out with huge hair at the launch of the U.S. version of the X Factor in May. FOOTIE ace Ryan Giggs won’t need any hat tricks in the future – the Man United player was reported to be undergoing treatment to boost his barnet this week. The Reds star, 36, is thought to be having laser sessions to thicken his receding locks. And though the treatment may not be painful, it will cost the dad-of-two an eye-watering £6,000.But with seven in ten men affected by hair loss at some point in their life, what else can fellas do to battle baldness? Despite the thousands of hair loss cures touted in shops and on the internet, medics caution that only two treatments are known to be effective in treating baldness. These are called Finasteride, which is a pill, and Minoxidil, which is a lotion. Both are available from pharmacies and studies suggest they work by thickening existing hair and preventing further loss. Some fellas even experience hair re-growth but many don’t see the effects until four months after starting the treatment. 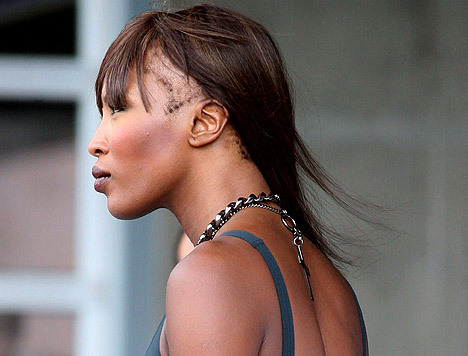 Hair will start to fall out again if either treatment is stopped, which can prove painful on your bank balance. 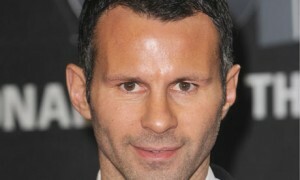 Giggs is believed to be having this controversial treatment at the Advanced Hair Studio. Last year regulators banned the company’s adverts featuring Aussie cricketer Shane Warne for being misleading. But the chairman of Advanced Hair Studio, Carl Howell, claims there is good evidence to support the treatment. He says: “We combine the laser treatment with a serum, shampoo and tablet. The treatment starts from £2,600 and requires two sessions a week for three months, followed by one a month for seven months. This procedure involves taking the hair follicles from the back of the head and surgically grafting them into bald patches on the scalp. The op can take up to six hours and costs between £2,000 and £7,000. Asim Shahmalak, a hair transplant surgeon from the Crown Clinic in Manchester, says: “This procedure is for men who have lost too much hair to be helped by medication. Mr Shahmalak believes Man City player Stephen Ireland and former England football manager Steve Mclaren would also be suitable for hair transplants. He adds that one-in-ten of his hair transplant patients is a woman. According to Carl Howell, from the Advanced Hair Studio, most celebs opt for “strand-by-strand” replacement. This involves covering a bald patch with artificial skin and implanting strands of donated human hair into it. The hair is usually bought from women in Russia, though it can also come from India or China. He explains: “The hair is generally from ladies who grow it long and sell it on. “It has to be ‘virgin hair’ – not permed or coloured. “The treatment ranges from £3,000 to £10,000. We create a second skin made from silicon and non-surgically graft it to the balding areas of the scalp. “A client can have as little or as much hair as they want, but longer hair and certain colours are more expensive. He adds that sportsmen such as Michael Vaughan, Graham Gooch and Shane Warne have had this treatment. And every year we eagerly await the stars’ grand entrance via the red carpet. Sashaying elegantly and posing for the paps – oh to live the A-list life. With stylists on speed dial, immaculate hair and pristine make-up we long to look just like our idols. From Sandra Bullock’s cascading locks to Kate Winslet’s 50’s do, you don’t need an A-list budget to look a million dollars. Goldwell and KMS have teamed up with the Vitality Show to recreate the key looks from the Oscar red carpet for you to copy at home. Stylist to the stars, Michael Barnes, whose previous clients include Keira Knightley and Lily Cole, shows us his step by step guide on how to achieve glossy gorgeousness. Kathy Ireland and Charlize Theron at the 2010 Oscars. When it comes to Oscars hair, each year we see similar hair styles on different celebrities. Some of them nail it while others, um, don’t. This year’s case study: The face-framing updo. Both Kathy Ireland and Charlize Theron wore this style to the 2010 Oscars. As you can see in the photo above, Theron looks gorgeous, while Ireland looks disheveled and overdone. How can two styles based on the same underlying idea have such shockingly different results? We turned to celebrity hairstylist Enzo Angileri for answers. He created Theron’s Oscars look, and the key, he says, is to not leave anything to chance. “You have to remember gravity, and chance. Things fall, and you have to anticipate that,” he says. “You can’t know what her hair is going to look like when she gets there,” he says. He relies on tried-and-trusted techniques to make sure hair stays in place. His mane tip: When drying the hair, he bends it at the roots, to direct the entire hair where he wants it to stay. Thanks to this process, “Charlize’s hair will only move ¾ inch from her eyebrow in either direction, he says.